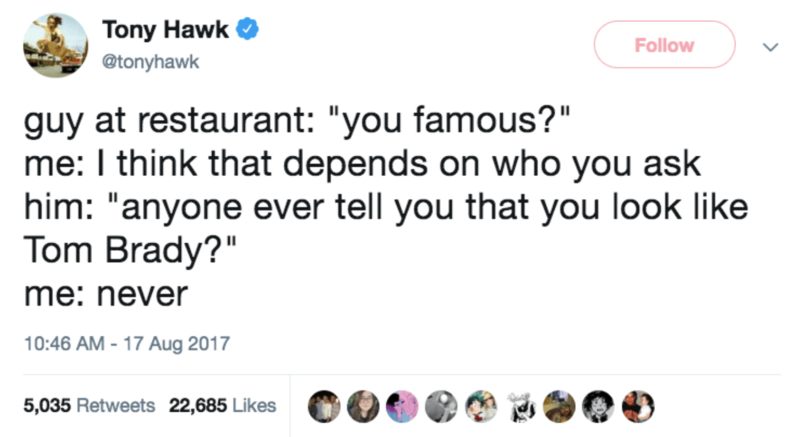 I don’t know about you, but I live for Tony Hawk and his struggles of being famous. Well, on Saturday he had another one of those hilarious encounters — this time when he was trying to rent a car. 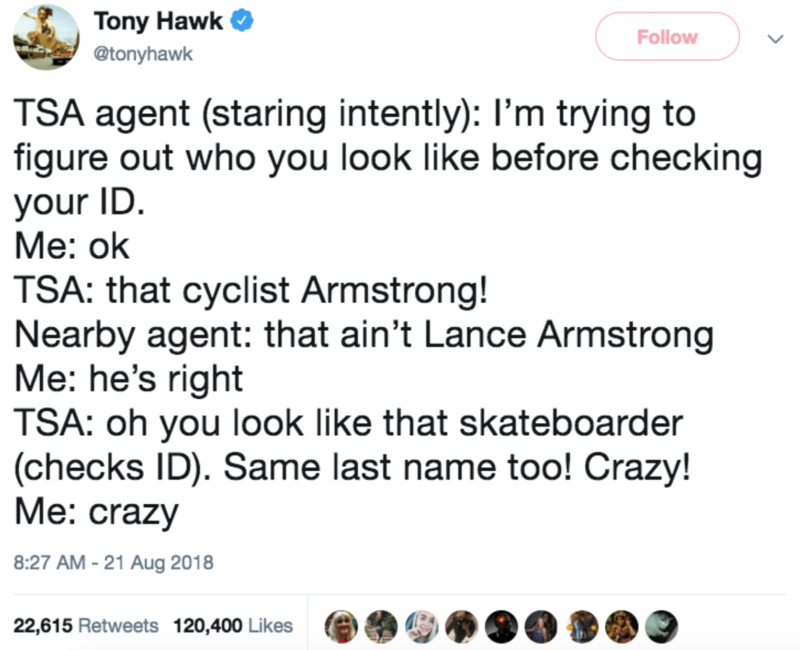 The agent thought someone was using the fake prank name “Tony Hawk,” so he deleted it. 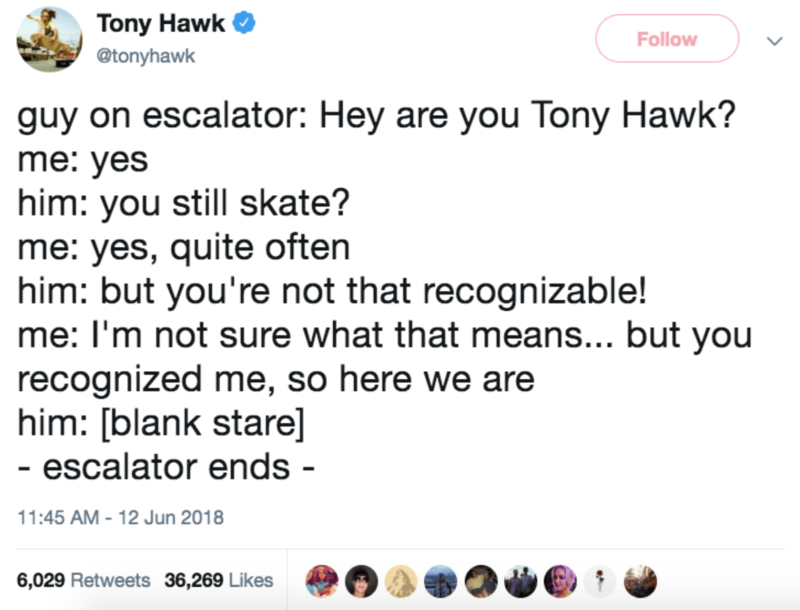 Like, I’m dead at Tony Hawk having to constantly deal with this stuff. People, of course, loved another “Yes, I’m Tony Hawk” tale. And let’s give it up to him for not sharing the company name, so the agent wouldn’t get fired. We stan a hilarious, kind skater. Yes, we do!